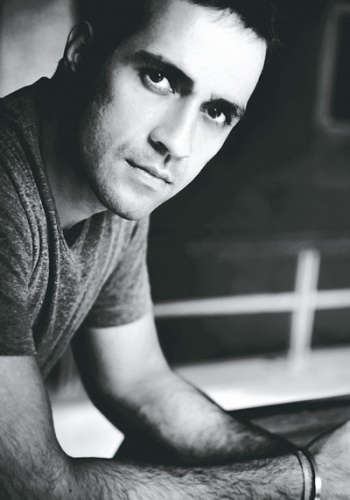 The last time I met Aatish Taseer – a little over three years ago – was for his then new book, Noon. (Read it here) This time around, it is for his next new book, The Way Things Were. Much remains the same – the reasons for our meeting, the tenor of our conversation, the intertwining of the personal and the literary in his book and our chat. And the author’s gaze is as intense as I remembered it. But much has changed in the country in the intervening years. The general elections of 2014 have altered the nation’s mood irrevocably and India stands, somewhat nervously, at an inflection point. Taseer, ever the political being – “I have this stuff in my bone marrow” – picks up this mood and sets his story against a backdrop that moves from the rise of the Hindu Right in the aftermath of Operation Blue Star in 1984 and further back to the Emergency in 1975. The Way Things Were is his most political work of fiction yet. Identity is a recurring theme in Taseer’s books – not surprisingly. Setting out to learn Sanskrit some eight years ago was perhaps a related quest. The idea of a young man who once partied with the swish set in London (when he was in a relationship with Lady Gabriella Windsor, a member of the British Royal family), burying himself in Sanskrit’s notoriously difficult grammar would seem rather unlikely. But it’s a passion that’s stayed, and seeped into his book. Two of the three key male characters – Toby and his son Skanda – are besotted with Sanskrit and amuse themselves with an academic game of cognates (a linguistic term for words in different languages that are linked by a common root). There is even a two-page love scene built around the cognates for nakta (Sanskrit for night). That was one amusing scene, I tell the author. “It was fun, no?” he grins, eyes lighting up. “Did you like the ‘Shashi’ mention?” he asks eagerly, referring to another passage about the origin of my name, and is visibly pleased when I say yes. Such an academic, professorial pursuit, I think, for an author in his 30s, who talks easily of fashion and glamour, whose social connections, celebrity status and good looks, you imagine, could have him easily on the party circuit. This reminds me that when we talked last, he insisted that he led a rather austere, literary life. He had mentioned that he was up by 5 am, in bed most days by 9.30 pm, with lots of reading and writing in between. He didn’t have the time, mind space or money to go clubbing or partying, he had said. Is life still the same? Good thing I’ve caught him with his new book, I think. Now to wait for the next.